Below is the digital version. 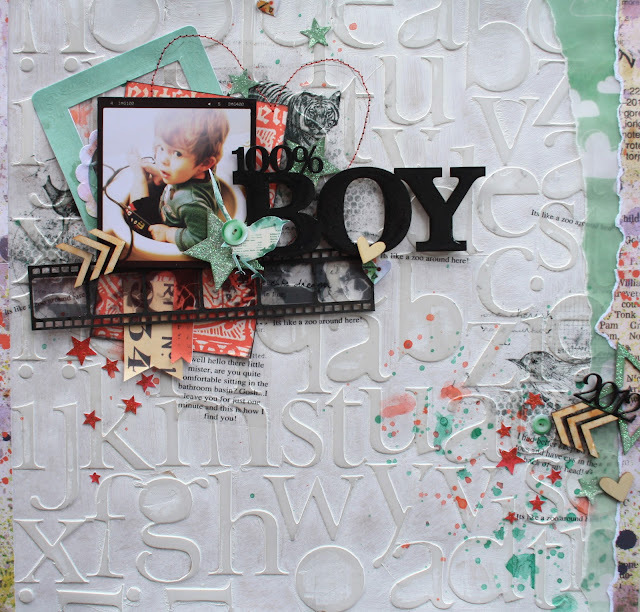 Dear Darling Mini Art Journal Kit Tuesday Template Wk 47 by Megan Turnidge ...here is the traditional version using 2 Crafty Chipboards to embellish the page. Emma,Emma,Emma wowza girl, I recently stumbled onto your blog, and now am a advid follower, I have you on my inspiration list of blogs I follow... and this is why...Your work is amazing, Ive never tried digital...the whole computer thing still learning and blogland!! LOL But what you do and this LO OMG just LOVE IT!!! It is fabulous. You do both digital and on paper amazingly. This is really amazing! I love that you show the digital and traditional version, gives a really unique insight to your process. This page is fantastic!!! My goodness both of these look amazing.. can't pick a favourite! you always blow my mind!!! Holy moly! AMAZING page! Truly awesome. Thanks for sharing!